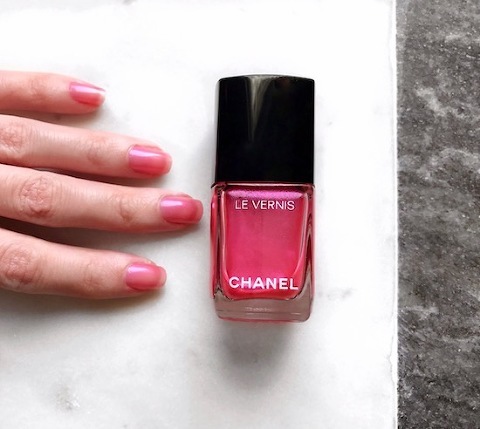 Chanel released this gorgeous color as part of their 2016 holiday collection this past fall. I purchased it this spring (I’m happy they still had some left in stock since it is limited edition) and recently decided to test it out! The polish is opaque and requires a couple coats for even coverage. (possibly more depending on the look you’re going for) I settled on two coats plus a clear top coat to finish it off. The color is a gorgeous pinky-fuchsia with very fine iridescent shimmer. Like all Chanel polishes I could go a good week before my nails needed a touchup. I really love this color and think it’s great for the spring!